Use or helpful mulch calculator to determine the amount of mulch you need for your landscape. Looking for information on how to calculate the number of stones to use in your design. Click here to find out the best way to find the required amount of stones to purchase. 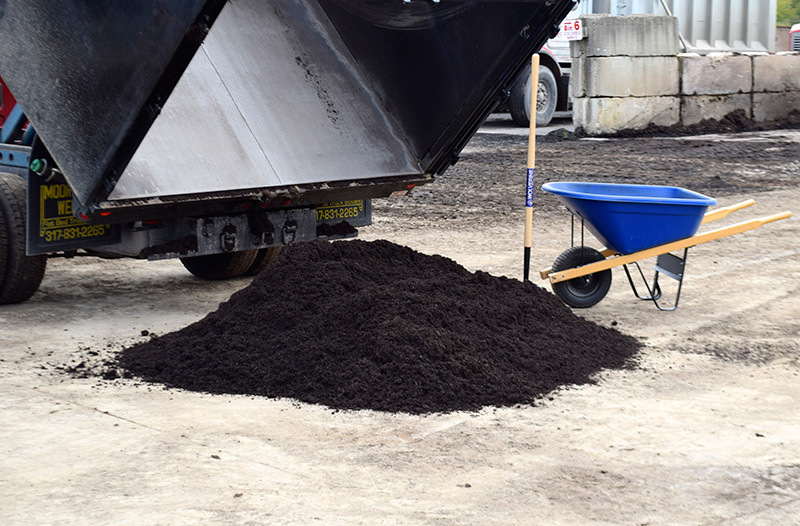 Thickness of Mulch: 1" 2" 3" 4" 5" 6" 7" 8" 9" 10" 11" 12"
McCarty Mulch & Stone loads and sells all of our bulk products by the cubic yard. A cubic yard is a volume measurement with dimensions of 3 ft. x 3 ft. x 3 ft. There are 27 cubic feet in a cubic yard. To get a good estimate of the yardage amount you need, you must first come up with square footage. 1 cubic yard will cover approximately 162 square feet at 2″ thickness. Use our helpful mulch calculator to determine the amount of mulch you need for your landscape.